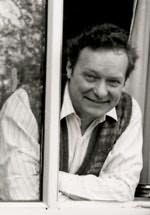 Jonathan Gash is the pen-name of John Grant, an English doctor and author of medical thrillers as well as the Lovejoy novels. He wrote the novel The Incomer under the pen name Graham Gaunt. Jonathan Gash is currently considered a "single author." If one or more works are by a distinct, homonymous authors, go ahead and split the author. Jonathan Gash is composed of 6 names. You can examine and separate out names.